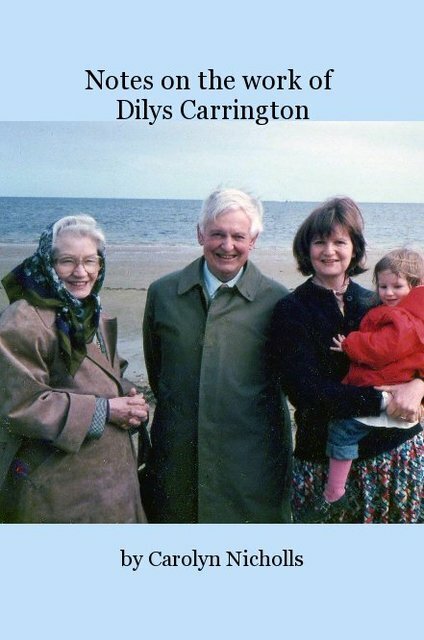 Dilys Carrington was a true pioneer in training Alexander teachers to use their hands effectively. Carolyn Nicholls spent a year as Dilys's apprentice learning and annotating this precise craft. This book details the approach to the body/mind discipline of communication effective direction to another person by the skilled use of the hands as a reflection of the entire body. Contains full details of the first year of the Alexander Technique teacher training programme. I have an MA in Creative Writing from West Dean College. I write both fiction and non-fiction. My non-fiction is about The Alexander Technique and my fiction is mostly historical but includes travel and writing residencies.